Scott Voltage FR is a wonderful mountain bike that perfect for downhill rides. It’s suited for both pro and semi-pro riders. Beginners are welcome to try, but might find handling this burly bike bit of a challenge at first. 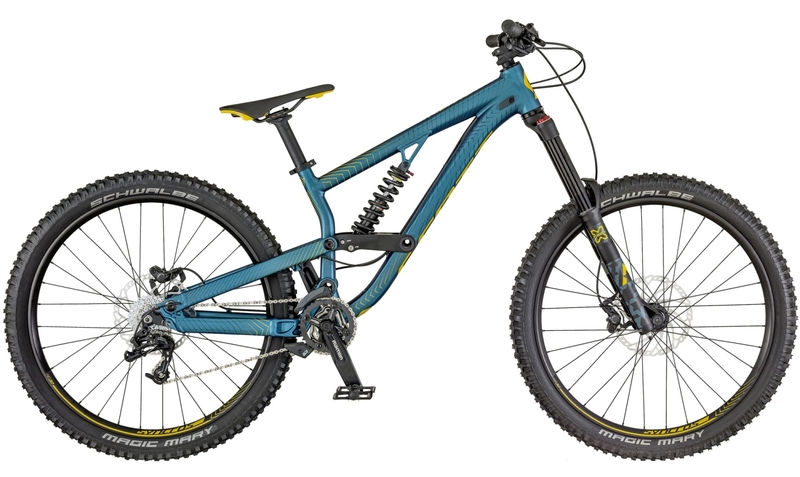 This is a reliable and sturdy bike that will make you happy on even on the toughest trails. Nothing delights us more than reviewing a new mountain bike. Scott Voltage FR is one of those mountain bike models that managed to impress us, even with specs that aren’t that outstanding. From the outset, this bike model looks like it can handle any road. The monstrous tires are a testament to this fact. We took it on a moderate mountain biking trail to test this theory. We were stunned by the quickfire suspension travel changes the Scott Voltage FR offered. It’s more tweakable than it looks. We have to say that going uphill can be a sort of battle on these bikes. But, the labor is worth it when you come downhill. The FR can breeze through even the toughest downhill trails. We were impressed by the shock absorption ability, even though some trails did hurt our bums. If you are a playful rider, this bike model will not disappoint you. Fair warning, with the 26 inch wheels, this model can be quite heavy. However, it makes up for the bad stuff with its ability to be very adjustable. Scott Voltage FR is a solid mountain bike we highly recommended especially for those who love speeding downhill. The biggest perk with this model is the versatility and adjustability. A Scott Voltage FR bike can be trusted to give you a workout going uphill, and the make it all worthwhile when coming downhill.